RHS students filling up the dance floor at Glowcoming with black lights and glow sticks shining all over. On Friday, April 12, Student Assembly held Roseville’s first Glowcoming, a glow-in-the-dark themed dance for students, at 7pm for students to wind down and have fun after a long week of state testing. As a way of promoting school pride and having students come together outside of school hours to enjoy their time together, the Special Events Committee of Student Assembly decided to throw a Glowcoming. 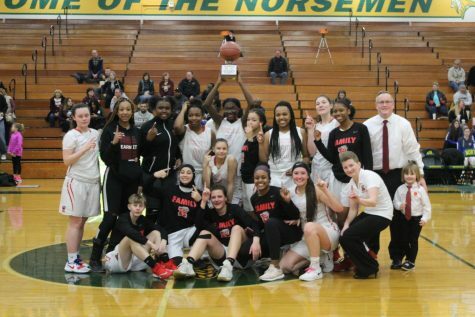 “For years, our students have requested that we have a spring dance, and a motivated group of students decided this year to fulfill this desire and have Glowcoming,” RHS teacher and Student Assembly sponsor Eric Mattison said. Tickets, which included a complimentary glow stick for each attendee, were sold for $5 a piece on Thursday and Friday during all lunches, as well as $5 per ticket at the door. The dance’s theme was to dress casual and wear neon or white colors that would glow under the black lights. As the night went on, these lights, along with the LED balloons and glowsticks seen all across the main cafeteria, helped make the dance a true Glowcoming. The DJ played a wide array of songs throughout the night, ranging from throwbacks that almost everyone could get up and dance to all the way to current hits that allowed people to sing their hearts out. A playlist was even made beforehand by Student Assembly where students could submit songs for the DJ to play. “[Glowcoming] was definitely a fun experience. I really enjoyed the throwback songs and the chance to hang out with friends I don’t always get the chance to see,” junior Chloe LeBlanc said. At 9pm, the dance finally came to an end. 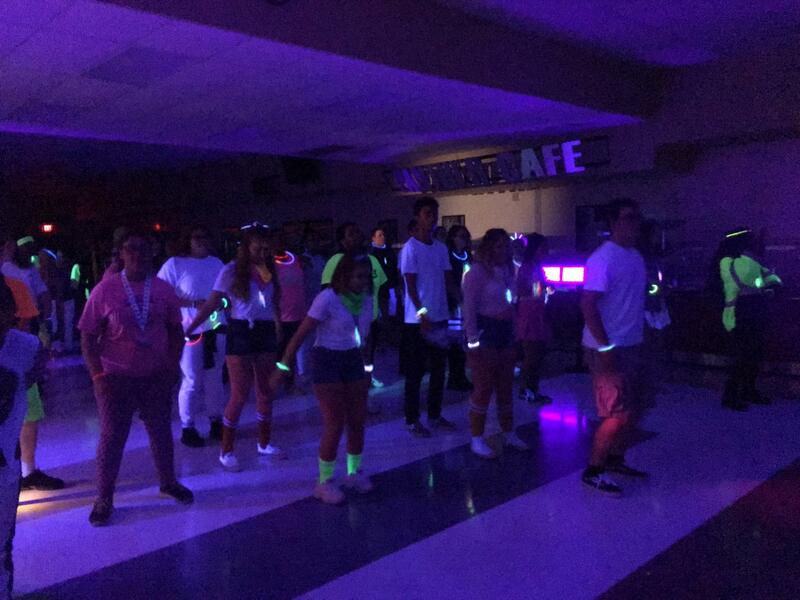 Overall, the Glowcoming was successful in that it let students spend their Friday night dancing with their peers in a relaxed atmosphere.